André Alexis's novel won Canada Reads 2017, where it was championed by Humble The Poet. The book also won the 2015 Scotiabank Giller Prize. When Hermes and Apollo make a bet about human happiness, they grant 15 dogs staying at a veterinary clinic the power of human consciousness. The dogs instantly become divided between those who prefer their old dog ways and those who want to take advantage of their newfound increased intelligence. What unfolds is a powerful story about what it means to have consciousness, and the good and the bad that comes with it. 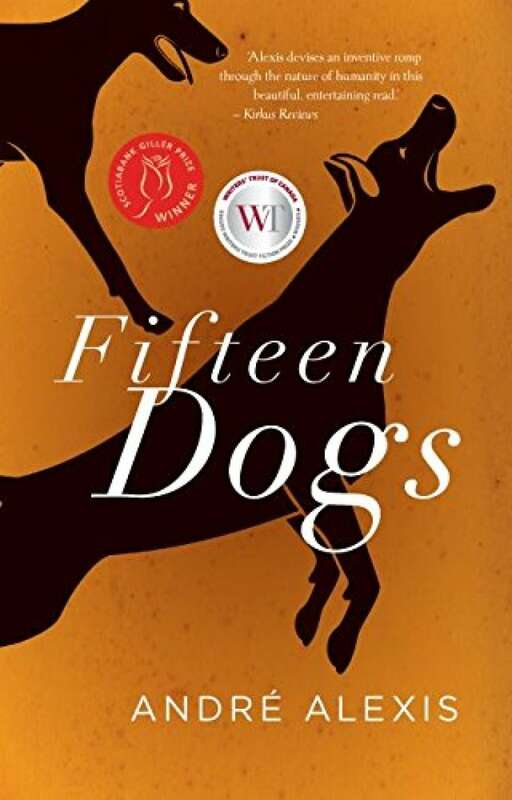 Fifteen Dogs won the Scotiabank Giller Prize in 2015. Humble The Poet championed Fifteen Dogs by André Alexis to a win on Canada Reads 2017. They went hunting. That is, some went in search of what they knew as food and others went after the animals they atavistically associated with sustenance. They were tremendously successful. Their instincts led them infallibly to the small animals — four rats, five squirrels — that they killed with ingenious efficiency, corralling or ambushing the poor creatures. After two hours, as the morning sun lit the land and turned the lake bluish green, there were rats, squirrels, hot dog buns, bits of hamburger, handfuls of French fries, half-eaten apples, and sugary confections so covered in dirt it was difficult to say what they had been. The only real disappointment was that they had not managed to catch any geese. From Fifteen Dogs by André Alexis ©2015. Published by Coach House Books.